Teacher Inquiry – have we got the right timeframe? Are we limiting the effectiveness and impact of our inquires by constraining them to set timeframes? Some background first… When I reflect on the professional inquiries I engaged in as a teacher, these were tied into the annual process of appraisal, starting in Term 1 and concluding in Term 4. The following year a new inquiry commences and so on. Similarly, as a principal I have facilitated teachers inquiring into their practice on an annual cycle as part of their performance management. I would suggest that this is a common approach in many NZ schools. Constraining learning to time limits is a habit in education… but one that is increasingly being challenged in a more flexible and personalised approach to learning and how learning is managed. Not sure what I mean? Just think of your classic daily timetable in a classroom, 10 minutes silent reading, then 45 mins for reading, followed by 15 minutes of handwriting after which we go out for 15 minutes of fitness. Or perhaps think of the times your students are so engaged and focused on their learning only to be interrupted by the bell or ‘needing’ to move to the another area. Sometimes time is the enemy, it constrains or limits what we can do. What we can learn. Let’s transfer that thinking to our professional inquiries which generally go from Term 1 to 4, aligned to a similarly scheduled appraisal process. It makes sense, an individual inquiry is often focused on a target group of students which are in your class, its relevancy is based on the now, related to recently collected and analysed data. Its convenient, it fits with how we organise the school year, works with fixed term positions, allows us to come together as teachers on the same pathway and summarise our findings at the end of the year. I just wonder though that we are pushing through inquiries too quickly and that changing the focus on an annual basis takes away what could be a richness and depth of inquiry leading to greater outcomes of effective teaching and impacts on student learning. That is not to say that a Term 1-4 inquiry does not have depth and impact, it is a prompt to consider what would happen if we keep building on our developing knowledge over time and at the saturation point we move on, not just because it is the end of the year. So this may lead to a diversity of inquiries, with agentic teachers driving and managing their own learning. There would be multiple inquires, starting and finishing at different times, adapting to needs, responsive to mastery. More questions than answers here but a good space for further thinking and investigation. Thanks to Bede for a conversation that prompted some of the thoughts above. This year Kumeroa-Hopelands School is involved in range of literacy PLD opportunities working alongside Papatawa, Makuri, Ballance and Mangatainoka schools and our facilitators from CPL. I am leading this development within our school and as such attend all sessions and bring back to school any new learnings and lead staff through any associated inquiry into our current practice. What people interactions would there be? What tools would you see being used? Where would the data trails be leading from and to? Taking this back to school, how would the teachers visualise their writing teaching? How would the students? Would they ‘look’ the same? Here are a couple of examples of teachers drawing their writing ‘time’. So similarities between student and teacher pictures. Teachers are much more complex and students simplistic, no real surprises there. Great to seeing the interactions betwen students talking about an helping each other with their writing. What would the purest in me like to have seen more of? Self-assessing, some stronger reference to success criteria and more effective use of technology for sharing to name a few. Draw me a picture of what success for Maori looks like in your class. What would I see if you drew a picture of your community engagement? This process has also reinforced to me that importance of a school having an agreed upon ‘What an effective writing classroom looks like’ set of criteria that guides teachers and sets up common beliefs and practices across the school. KHS’s version of this is up for review this term. Timely. The most important outcome though is the value of knowing our learners and small wake up call in terms of how well we really know them. The concept is not new, it is at the heart of Ka Hikitia and integral to the deeper notions of student voice… but do we do it well enough and often enough? With teaching as inquiry kick started with the What are our learners needs? question this process actively gets teachers, through their students, to start digging deeper. 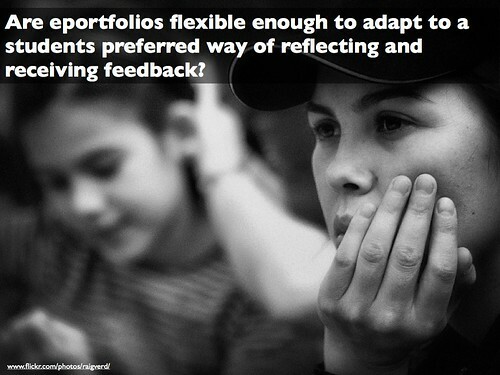 The last couple of years have seen me do a bit of thinking and presenting in the area of eportfolios. Most of that has been when I am working alongside schools rather than in them. So now as a principal at Kumeroa-Hopelands School I am faced with the coal face of implementation. 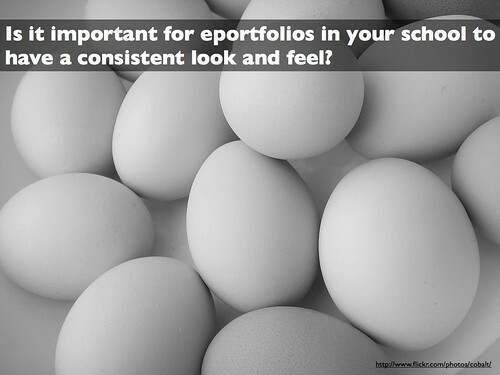 At this point in time we are not in a position to consider implementing eportfolios with our students. However as part of the school self-review, performance appraisal system was reviewed and updated which gave us a timely opportunity to have a go. Step one was to co-construct with staff the relationships between teacher inquiry, the Registered Teacher Criteria, the Professional Standards and the cultural competencies as described in Tataiako. Staff created a model, using an inquiry model as central to their thinking and adding on the competencies and criteria to show how they all came together. This was a hugely worthwhile self-review process especially when teachers articulated the reasons why they placed or showed the relationships between the 3 areas. Justifying their choices painted a really interesting view on their beliefs about teaching and learning. An example of this is shown below. As to the reason why we did this is pretty simple, I believe that an authentic and rich teaching as inquiry approach to teacher practice will demonstrate all of the registered teacher criteria and the cultural competencies and in doing so will provide all of the reflective evidence that teachers require to demonstrate their competency. Especially relevant when two of your teachers are PRTs. Step two for me was to use the outcomes of the review clarify the processes, relationships and key areas of the performance management process. I think in pictures so created a graphic to show these relationships. Central to the performance management is teachers engaging in teaching as inquiry. This relates directly back to their performance agreement which in turn relates back to the annual and strategic goals in the charter which in turn relates back to the teachers analysis of student achievement data both formal and informal. The key relationships to me are that the whole process is supported by relevant professional learning and development and that all relates to improving outcomes for learners. Step three saw this feed into a matrix which showed the relationship between the performance standards, RTCs, teacher inquiry and Tataiako (big thanks to Regan and staff at Koputaroa for some great work here). This provided a more linear and usable view. Step four involved transferring the all elements to an online space which for us is a Google Site. This best demonstrated by having a look at the basic empty site template which illustrates the matrix and how there is an expectation that staff are aligning their reflections to the PS, RTC, TAI and Cultural Competencies. Having an online space to collate all of this documentation for both registration and appraisal purposes has many benefits including anytime, anywhere access, the ability for mentors to provide feedback, and the ease at which evidence can be linked to, uploaded or embedded. That we have lots of ongoing unpacking to do around the relationship between our practice and the PS, RTC, TAI and Cultural Competencies. At the moment we are skimming the surface of acknowledging these in our practice and require more practice and support in getting this right. 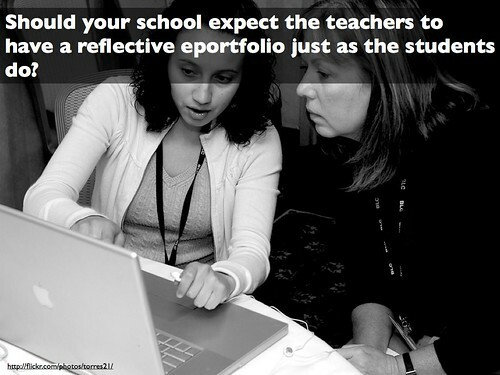 Acknowledging that teachers reflect in different ways and through different methodologies. For example would you prefer to simply list the cultural competencies as outlined in Tataiako and reflect against these on a given schedule? Or would you prefer to reflect as and when required and then indicate if these reflections demonstrate or fit with the competencies? Engaging external expertise, especially in the area of Tataiako, to deepen our understanding of the Cultural Competencies. Develop some kind of micro self-review system so that we can clearly identify areas of weakness and where we need to develop further. Review the whole set-up with staff towards the end of 2012. As a national facilitator for the ICTPD programme, I am in a privaledged position, seeing the best of what is happening in schools around NZ. In most schools, teaching as inquiry is used to guide practice, in varying degrees, from the casual “our teachers are constantly inquiring into what they do” to the formalised approach and expectations that the inquiry is documented, mentored and reflected upon. I favour the formal approach, prioritising teaching as inquiry and embedding it within a schools PLD programme. We know that the NZC outlines teaching as inquiry as being integral to effective pedagogy, well supported by research and it shouldn’t be left to chance. Often this is interpreted as a deficit model, looking at under achieving students or a weak curriculum area within a class or school. Without question these students are priorities for any school and the responsibility to progress these students is non-negotiable. DISCOVER: The identification of organizational processes that work well, focusing on strengths, best practices, and values. DREAM: The envisioning of future states and processes that could work well in the future, given the nature and capabilities of the organization. DESIGN: The planning, design, and prioritizing of processes and aspects of the organization that could realize the dream. This table compares a problem solving approach/deficit model to a AI approach, adapted here from a Wikipedia entry. The difference is in the way questions are asked about a situation, envisioning the future and building on what works rather than fixing what doesn’t. What could this mean for you as a teacher or school leader? Both approaches of inquiring into practice have the same intent of improving achievement for both student and teachers. Elements of AI can be embedded into a traditional inquiry into practice where teachers identify their course of action i.e. What strategies (evidence-based = the best of what is… successful…) are most likely to help my students learn this? AI is known primarily as a process for managing institutional change, so look at the potential of using it beyond classroom practice to the greater goals of the school i.e. appreciative inquiry could work brilliantly when visioning and looking at long term strategic direction for a school, complimented by classroom based teacher inquiries. One ICTPD cluster has shared its approach to appreciative inquiry and drafted templates to mould the NZC teaching as inquiry into an AI framework. Have a look on the Te Apiti cluster site to find out more. This post has only skimmed the surface of what is a really interesting and relevant context for approaching teaching as inquiry with direct links to effectively pedagogy. I would encourage you to explore it further. I am often asked my opinion about what to buy or how to organise technology in schools. 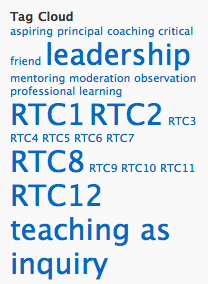 I am in a privileged position working with 17 ITCPD cluster around NZ. That is a lot of schools I am lucky enough to visit and a lot of teachers and principals I converse with. I see an huge range of different set-ups in schools from the traditional computer suite to 1-1 programmes. What works best and what would I recommend? Well that’s a really hard question to answer as I have seen every scenario work really well and allow for the integration of technology into learning but equally have seen the other side of the equation where the same set up in another school is not effectively used. We know that it is not the technology that makes for effective elearning pedagogy. Sure the access to technology is a factor but it is the understanding of and deliberate acts of teaching using technology that make it happen successfully and seamlessly. It is hard to recommend any particular setup. Do you have 2 or 3 desktops in classes supported by mobile pods of laptops? Do you use netbooks as learning is increasingly happening in the cloud? Are laptops the only way forward? I know schools that only have 1-2 computers in each class that do amazing stuff, and then know schools that have huge almost unlimited access to computers who do pretty ordinary stuff. What leading schools are clearly doing is projecting the way the want technology being used in classrooms in 2-3 years which is predominantly cloud based and increasingly mobile. If you look at the trends from Horizon reports, UNESCO or BECTA they support this direction as well. My current line of thought is a little different. I am really keen on giving teachers the flexibility to makes these decisions themselves. i.e. If you have a clear budget, why not ask a teacher how they want to spend their allotment, so that the purchase clearly aligns to their pedagogical approach. They may choose laptops or even ipads, whatever. While this can be complicated and comes with lots of questions, is there really a one size fits all to a technology roll-out or should a teacher have the flexibility to choose what they use, just as they do with every other resource they use in their teaching? Does every classroom need to have an equal share. I know that in the past I have certainly gone about strategic planning by stating, “Every class will have 3-4 desktops supported by a mobile pod of ten laptops for each team.” etc. But should we have moved beyond this now? I had a recent conversation with a principal who is establishing a new school. He can’t decide on IWBs or the flat screen teaching stations, so instead appointed staff will possibly get an allowance of $4000 to use either way they see fit. I think taht is just fantastic. Sure there are lots of questions raised by using this approach. What happens when the teacher moves on? How do you manage and support a range of different technologies? What if a teacher makes the wrong decision? What happens if the need for a certain technology is no longer relevant? and so on. But I am looking at it from this perspective: They whole process of deciding what to buy fits directly in the ‘teaching as inquiry‘ approach and would really make teachers examine their elearning pedagogy. The use/purchase of technology would be directly related to the needs of the students and the teacher’s approach/pedagogy. The teacher would be required to research, visit and answer any questions to reinforce their decision. 30 ipod touches may be a much better investment for students lacking fluency and comprehension skills rather than 6 laptops and a projector. Have we depersonalised our teachers own elearning pedagogy by deciding what technology they should use?